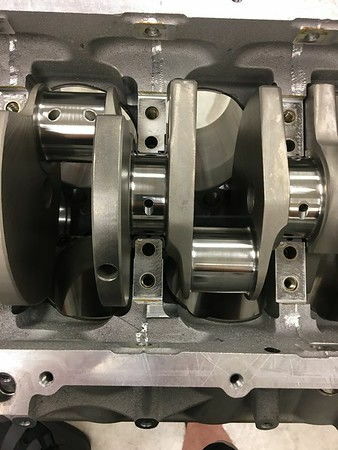 Cast, Forged, Billet, OE, aftermarket, stock stroke, stroker, de-stroked....when you think about it, the options for LS crankshafts are many and can sometimes be very confusing when building your next engine. When we sit down with our customers we always want a good idea of what exactly they are trying to accomplish with the engine and what areas need to have more attention spent on detail work to make the end result more reliable. 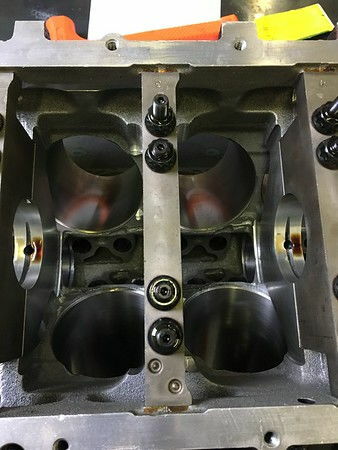 As most of you know, the standard Chevy small block has not had a fully counter weighted crankshaft ever, even right up to the new Gen V engines the middle of the crank lacks these. For the OEM and most performance builds this can be over looked and not a mandatory item when building your engine. 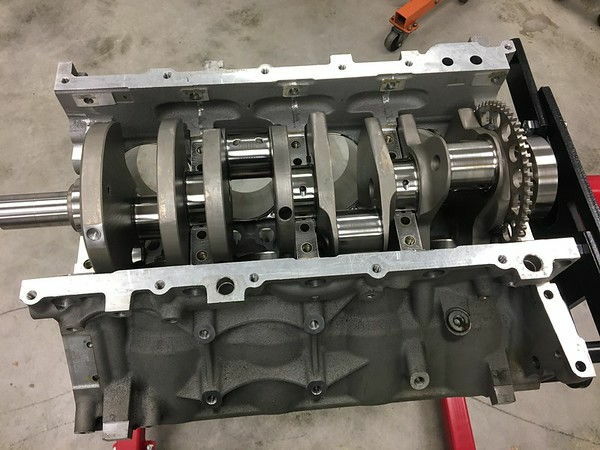 Even the 650 HP LT4 makes due with a std crankshaft build (although it is a forged piece). 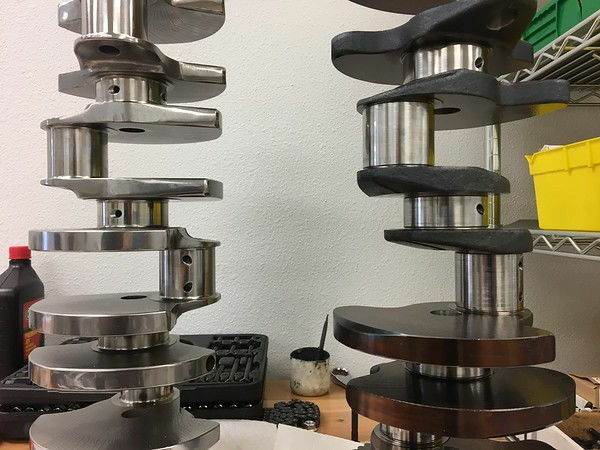 However, adding these back into the crankshaft will give you a better crank that will be more rigid, stable, and perform better in almost every way throughout the entire RPM range. This means longer bearing life, smoother engine performance, and less chance of vibration damage in most cases. Here you can see the difference in this Dart CCW crank on the left vs a modern GM LSA crankshaft on the right. There is a big warning! WILL NOT FIT OEM BLOCKS! While this is listed in almost every case you see, and for the home builder this is very true. The OEM blocks were never designed to accept one of these cranks and the added material of the center counter weights. That being said this is something we have done for a number of years without issue but it does require machine work to the engine block to do so. 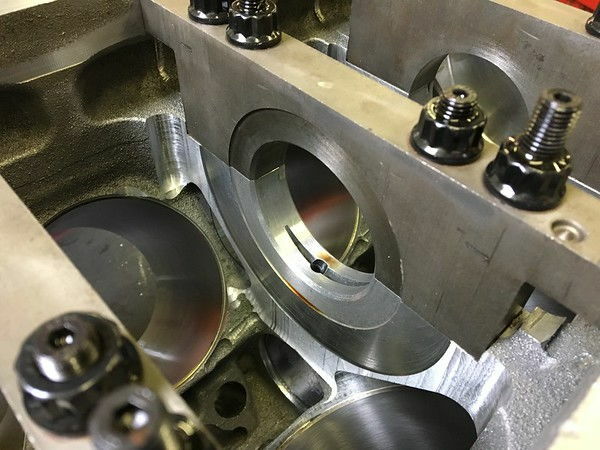 As you can see there is a lot more material in the center part of the block as the extra machine work was not required given the OEM crankshaft has little in the way of material to hit any part of these areas. 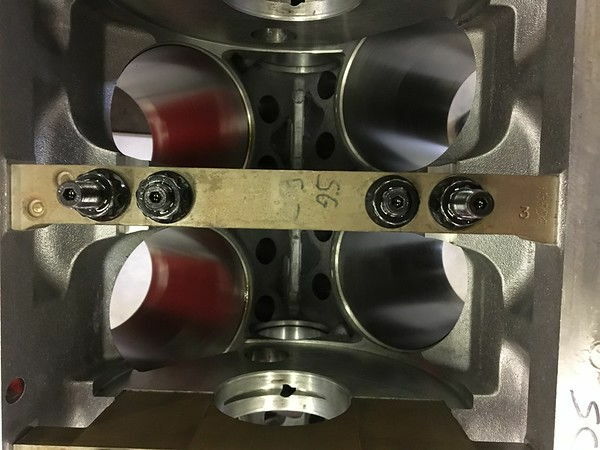 Not only the Dart but using a few billet CCW cranks we have measured the clearances needed and can easily machine iron and aluminum OEM blocks for the required clearance while retaining as much material for block rigidity as possible. 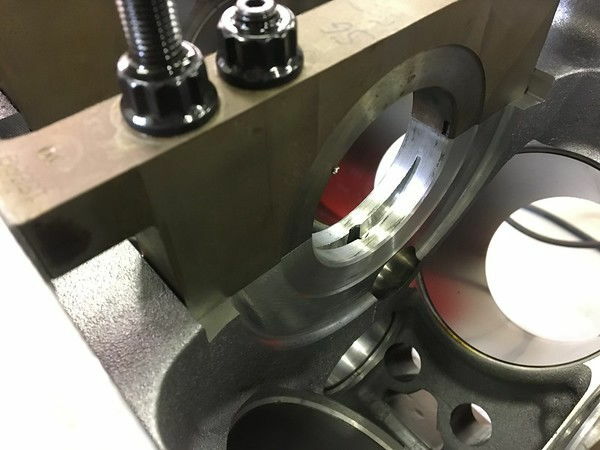 Once everything is machined and cleaned, your new CCW crankshaft will drop right in without issue. So for those wanting to use a CCW crankshaft but always thought they needed an aftermarket block, no need to fear, HPR has you covered!